I remember when Callooh Callay first opened, back then I was living in Dalston before it was cool and Callooh Callay was one of the early ones to hit close to Kingsland Rd. I loved it but moved not long afterwards and so haven’t really been back in a few years. That is until I received an invitation in my inbox to come and check out their new food menu. Although they may have had nibbles in the past, they’ve now teamed up with local restaurant, 1oo Hoxton and Ziloufs to offer patrons more than just crisps and peanuts. 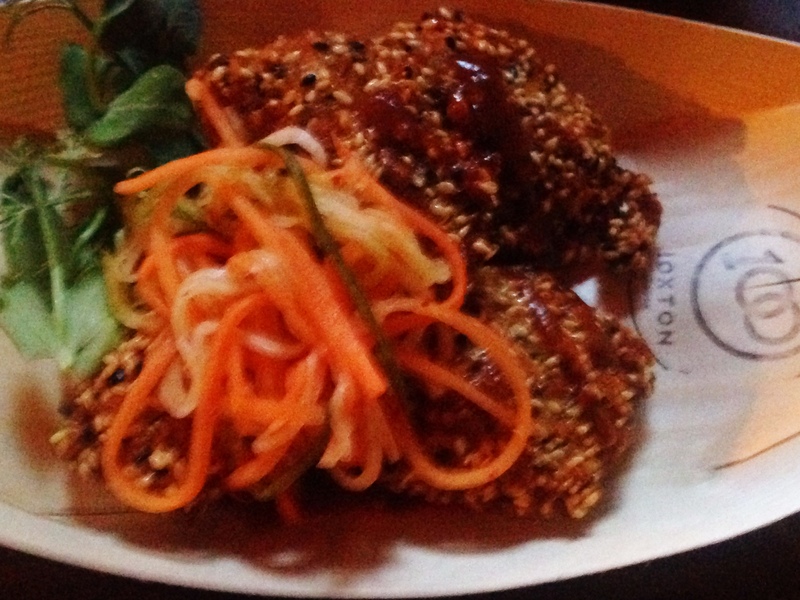 The menu consists of various small plates that are Asian inspired. According to Callooh Callay, “Thai-trained Aussie chef Tim Yates and Francis Puyat, formerly of Nopi, have together delivered a concise sharing menu offering a clean, fresh take on Asian fusion and focusing on their combined passion and extensive experience with Thai and Vietnamese flavours in particular.” The idea of small plates is only natural as drinking in a cocktail club is usually a shared experience (and when it’s not, well, let’s not go there right now…). 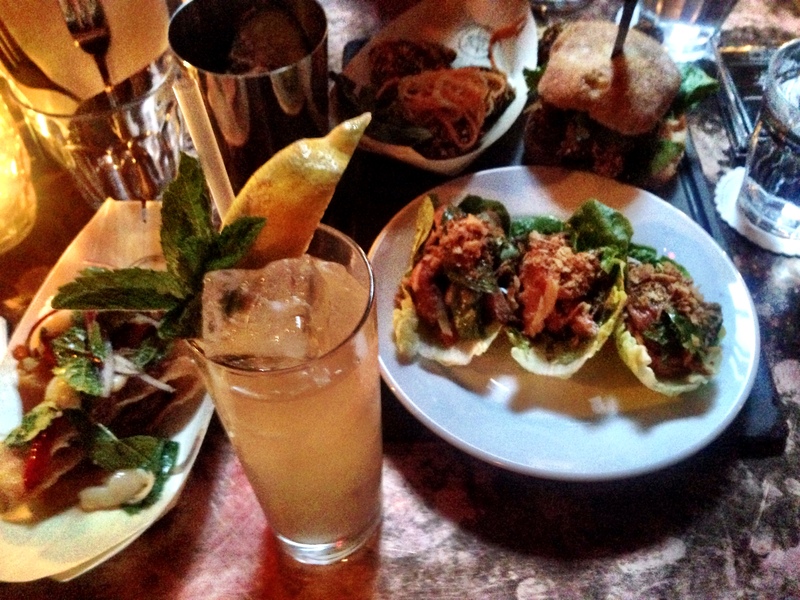 Anyway, the evening I went we sampled various dishes from the menu along with a few signature cocktails from the list. We started with MSG Chicken Salt popcorn. I was completely mystified as to what that was but my friend, Jason, had lived in Sydney for a year so he was beyond excited to see Chicken Salt. At first I thought, weirdo, but upon popping a handful of this popcorn in my mouth, I was hooked. It’s very savoury and moreish, well, what do you expect from something flavoured with MSG?At least they’re not trying to hid it! I sampled a few other plates. The prawn toast consisted of fried wontons and the plumpest prawns, very tasty. I also had the soft shell crab roll, I love soft shell crab and it was cooked to crispy perfection. The boneless chicken wings that followed were salty sweet but perfect with our cocktails. 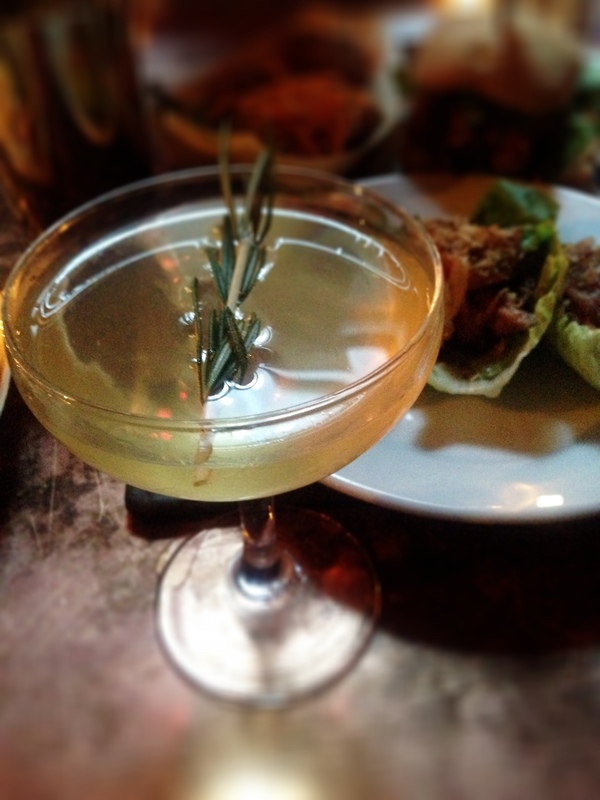 We tried a few house cocktails, my favourite being the Duivel, To Coin a Phrase and Sage Advice. You can check out the cocktail list here. Everything was expertly made and what I liked about the cocktails was that they weren’t overly sweet. 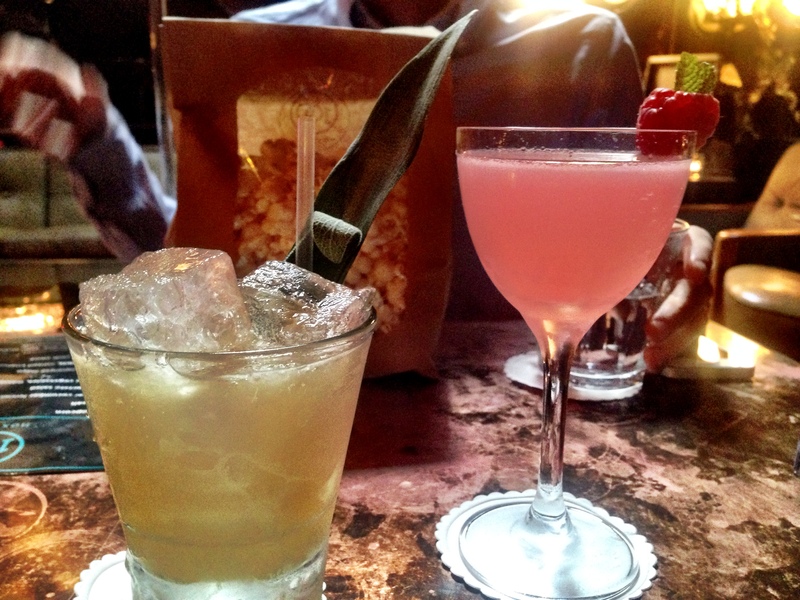 I often find that when you visit cocktail bars in London, they’re all sugar and little alcohol, that certainly can’t be said of Callooh Callay. 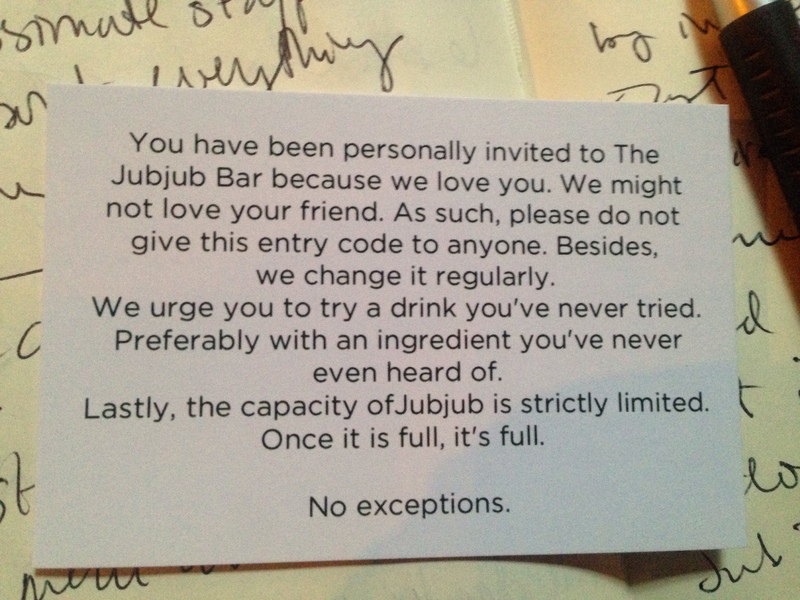 After all that snacking, we were invited to JubJub, a semi-secret club with Callooh Callay, where they invite you to their secret drinking den – but only if they like you! There’s even a secret door code that you have to use to enter. Don’t bother saving the code as they change it periodically. Up the stairs and past the locked door, they have a rotating menu of cocktails that are only available in JubJub. Only 25 people are allowed in at a time – no exceptions! Lucky for us, we were there early and were able to partake of the JubJub special cocktails. As with the food menu, the cocktail list in JubJub changes regularly. I, for one, am looking forward to both the new food menu and cocktails in Jub Jub.